Module 1 measures 36 meters in length, 8 meters in width, and 14 meters in height and it weighs 330 ton. Construction did not take place on site, but on a quay a couple of kilometers upstream at the Rotterdam harbor. To ensure maximal safety and minimal disruption at the client’s terminal, the module was also equipped with piping, pig stations, valves, walkways and stairways off-site. Once complete, the entire module was installed at LBC Rotterdam in one single piece. 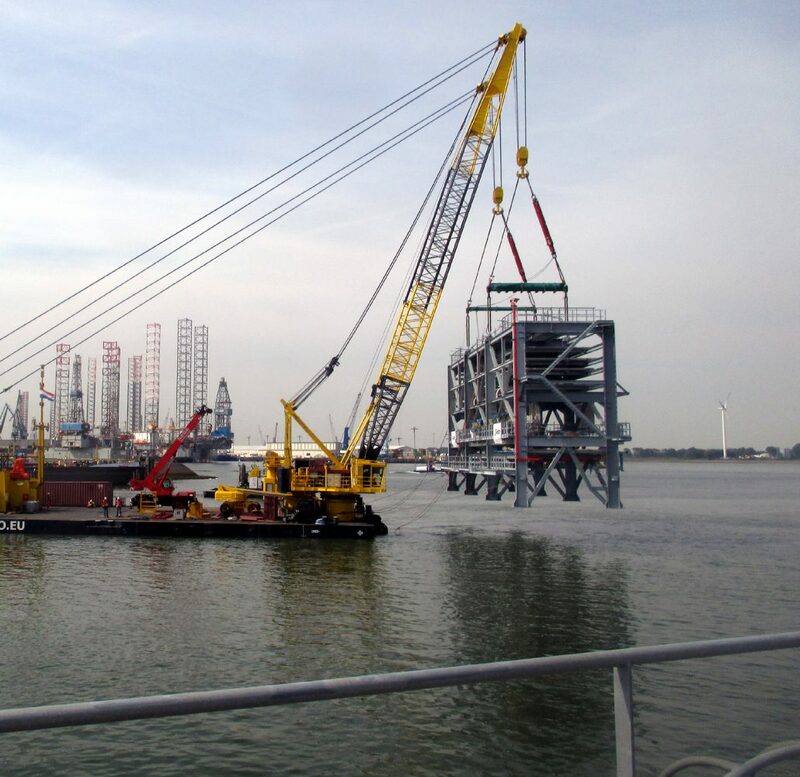 For rigging and transportation, a crane pontoon with double crane was used. Hydraulic cylinders on the hooks kept the entire structure level throughout the operation. We would like to thank everyone involved in making this effort a success.